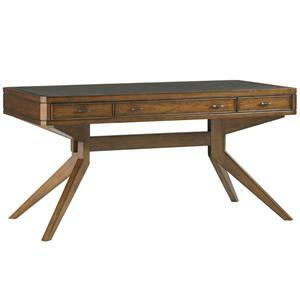 You can have a beautiful space to accomplish your daily tasks with this writing desk. 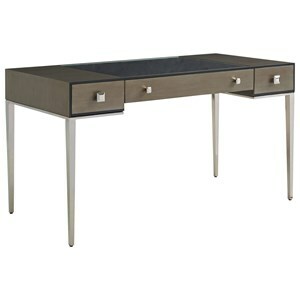 The piece carries a black lacquer finish and features faux bamboo trimming as well as a leather writing surface. 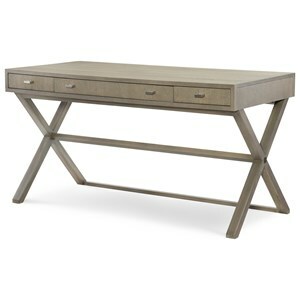 The five drawers are excellent for keeping notepads, papers, pens and other various office supplies. Plus, splay end supports and ‘X’ stretchers provide a nice balance. 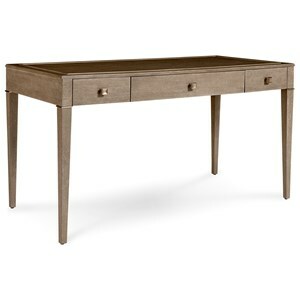 There will be a lot to like with this writing desk in your home decor. The Indochine Writing Desk with 5 Drawers by Theodore Alexander at Baer's Furniture in the Ft. Lauderdale, Ft. Myers, Orlando, Naples, Miami, Florida area. Product availability may vary. Contact us for the most current availability on this product. Allow your home to reflect the romance of the Oriental with the addition of the Indochine collection. The occasional pieces and desk embody fluid forms as well as bold colors with continuous faux bamboo trimming, gold leafing and delicate Chinoiserie hand-painting. 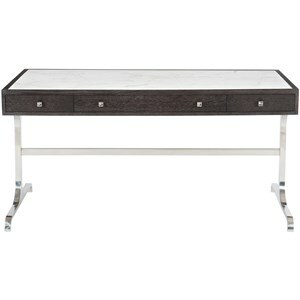 Plus, each writing desk, end and console table carries a thoughtful and unique design, which helps create a memorable home setting. 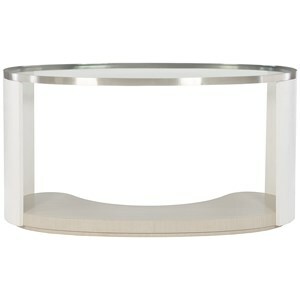 Let your love affair with the Orient flourish by adding the Indochine collection to your decor. The Indochine collection is a great option if you are looking for Contemporary furniture in the Ft. Lauderdale, Ft. Myers, Orlando, Naples, Miami, Florida area.